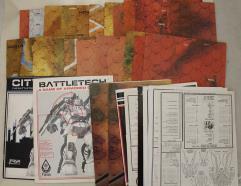 Battletech Collection - 4 Box Sets! Catapulted more than 1,000 years into the future, the face of warfare has evolved. War as we know it has ended, but from the ashes of centuries of conflict a new form of combat has risen. 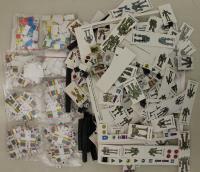 Soldiers now find themselves piloting gigantic mechanical fighting machines called Battlemechs. The variety and uses of these Battlemechs ranges beyond anything mankind has yet invented, filling in the full spectrum of armors, armaments, maneuvering options and modular components so that Mechs may wage unending war in any terrain from urban to desert all the way out to the reaches of space. The conditions of the individual components ranges from Fair to NM with most falling somewhere in between.